I am sooooooooooooo excited to be hosting my very own link party. As I've blogged throughout the years I've experimented with various marketing strategies. The one I've had the most success with is Pinterest. After much thought I decided I wanted to host a Pin Party where my fellow bloggers and I can get together and pin each others projects and posts. Each Monday I will feature the most visited link as well as two or three other links, so long as you have my button on your blog. Since this is my first link party I will feature one of my favorite projects. 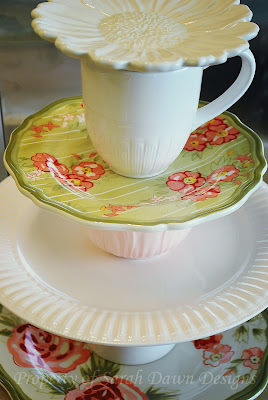 A shabby inspired cupcake stand. To view the tutorial for this cupcake stand click here. It really was an easy project and is a great statement piece. Now I want to see some of your projects. First a few rules. 1) Visit at least two other links and pin two projects from the authors' blog. 2.) Add my button somewhere on your blog, whether it is in the post itself or on the side. 3.) Link to a specific post and it must be something you wrote or created. 4.) No give-aways or other link parties. 5.) Please limit your submissions to 2 or 3 projects. I would love if you would follow me as well, but it is not a requirement. Of course you can find me on Pinterest too. Now, let's see those projects! Thank you for this great Pinning party Sarah!! Hi Sarah, I appreciate your invitation and thank you for this new forum to link up with!! I think you have a great idea, I've grabbed your button, and am following! I hope to make this one of mt favorite new places to visit and link up with!1 Thanks for being the host.. Best of luck! I am happy to be part of your first party. I am following you and will be back! Thanks for the invite Sarah!! Thanks for inviting me to your pin party. I've linked up a few things. Can't wait to check out everyone's great ideas. Thank you for the hosting and for the invite Sarah...what an amazing theme and great party! I've linked up and look forward to checking out some of the links! Hope you have an amazing week! Thank you so much for the invite! I LOVE your project! I'm so pinning that one. I'm excited to look at more of your blog! Thank you Sarah for inviting me to join your pintastic party!! What a great idea! I'm your newest follower! I see that we like a lot of the same blogs. So much inspiration in blog land! I'd love for you to visit again and if you're interested, enter my 100th post giveaway! Have a great week! Thanks so much for the invite, I have linked up! Following you via GFC & Pinterest! Thanks for the invite!!! Linked up and we are now following you!!! Have a great day. Thank you for the invite Sarah! 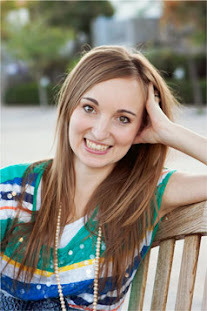 I have linked up and followed and am about to visit some of the other links and start pinning! Have a great day! Almost forgot- I also put your button on my Link Parties page! Thanks again! Thanks for checking out my blog! Just linked up.